Chinchilla (left) and Ortega (Right) during better times! Costa Rica’s presidenta, Laura Chinchilla, said no to a proposal from her Nicaraguan counterpart, Daniel Ortega, to meet at the border, to be together at the border for the judgement of the International Court of Justice at The Hague. 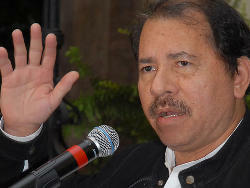 Ortega said that, more that just meeting, it important that Nicaragua undertakes to comply with the decisions of the world court. 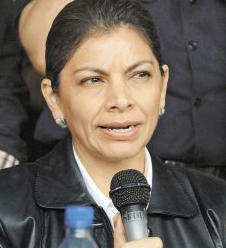 The move appears to be an attempt by the Sandinista leader to reconcile differences with Costa Rica. For now presidenta Chinchilla is not reaching for the olive branch. Costa Rica and Nicaragua are locked into a legal battle over the ownership of the piece of swamp land known as Isla Calero in Costa Rica and Harbour Head in Nicaragua. 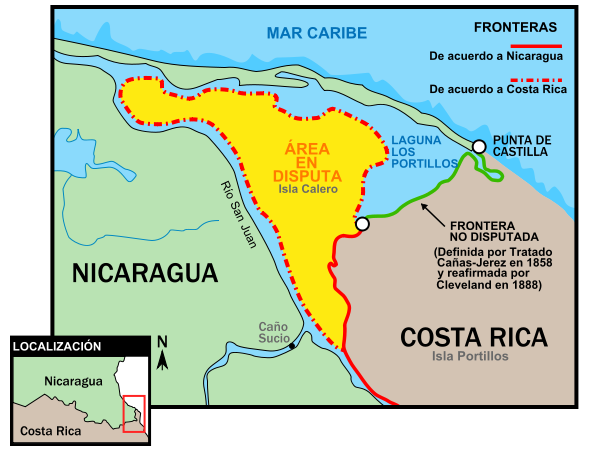 Costa Rica claims its neighbour invaded soverign territory in October 2010, while Nicaragua claims the lands are part of its territory, still within the flow of the San Juan river. The dispute stems from more than a century old agreement gives Nicaragua full ownership of the San Juan river – anything north of Costa Rica’s river bank – while Costa Rica has navigational rights. Over time the course of the river has changed. And it is that change that has generated the dispute, with the Nicaraguans claiming tha the “original” course of the river is the demarcation of the border between the two countries. Rolling back in time a bit, Daniel Ortega faced a tough re-election and it is said he used the border dispute to bolster his standings with his people, reclaiming territory the Ticos allegedly stole, in the same the Nicaraguans accuse Costa Rica of stealing Guanacaste from them. Moving forward, Ortega won his re-election and has further solidified his power base. And with the international court ruling coming due soon and with Chinchilla leaving office in a year, it may be a perfect time to settle the dispute.